* You will get 4 stunning gold rosettes. These are my new favorite! 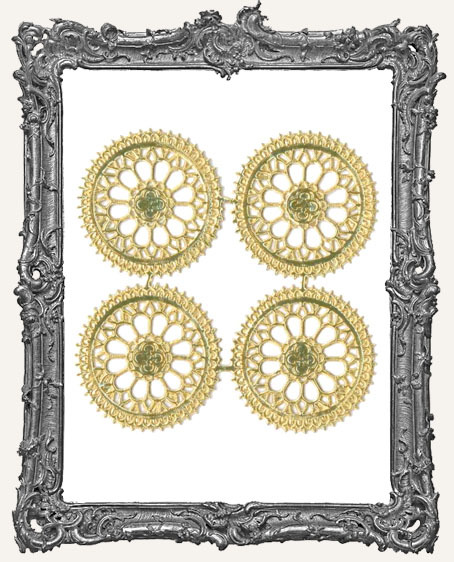 Each rosette measures approximately 1.75" across. These have colored foil on the front and back. They would make wonderful "stained glass" windows, ornate wheels, or even halos on our Inspiration Fairies!